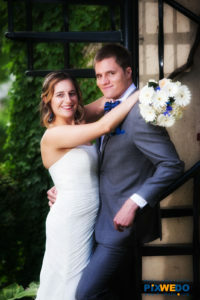 Below you can find a list and description for most popular wedding locations Chicago and suburbs. It is a list of wedding venues. We will share some details and will discuss our own experience related to wedding photography and wedding cinematography. Looking for unique and yet most popular wedding location in chicago near South loop? 19E is one you need to check out. 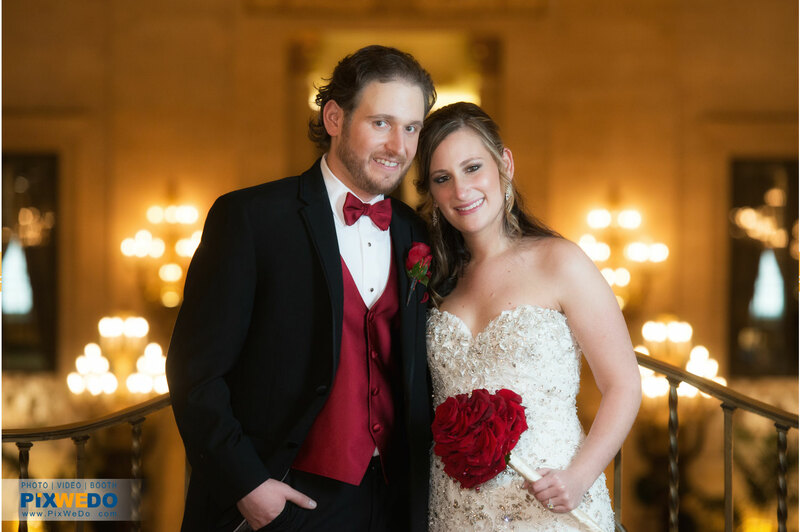 Located near State Street and East 18th street in Chicago this venue is a small complex of buildings with full infrastructure for the social events such a weddings, meetings, bar and bat Mitzvah and more. 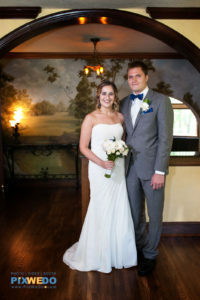 Barrington most popular wedding locations | Barrington's White House. One of the most unique venues around there. If you are looking for charming old fashion look for your wedding reception place you should take a look at this place. 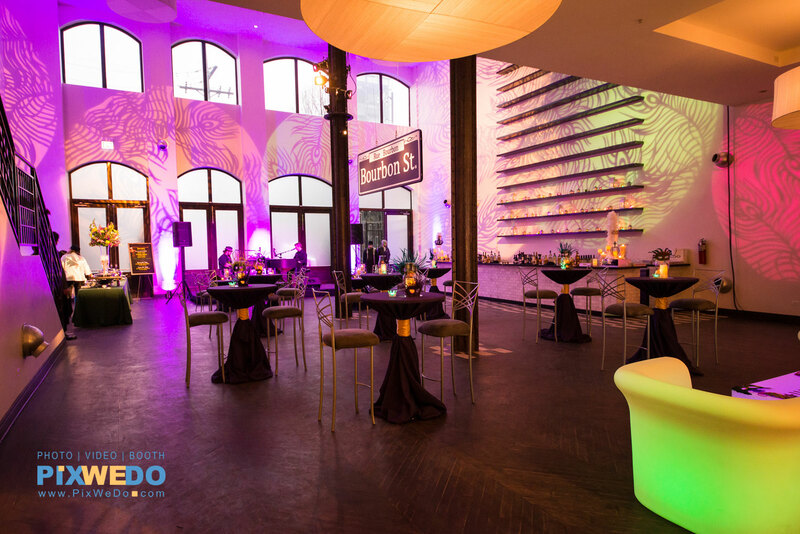 Original woodwork and beveled glass windows created an atmosphere for unforgettable events. Relatively new, with ball room at the top level this place will add a dimension to your event. It is made for small weddings and private events with all features of large upscale venues. It looks small from outside but you will be surprised how big it is inside. Equipped with kitchen and service size elevators for convenience of quests and vendors. It can be a great place for wedding pictures itself or will be a perfect plan "B" in case of raining day. Barrington's White House from PixWeDo on Vimeo. Chicago Palmer House hotel is one of our favorite location to work at. It truly is one of the most popular wedding venues in Chicago. Every corner of the hotel has a history and unique look. Palmer house Hotel is a perfect place for wedding pictures if you prefer that rich, classy and romantic look of your wedding. Our team has extended history of taking pictures and recording video at this glorious place. It is critical for events with tight timeline that your photographer know the place and will not loose any time just looking for the next picture spot. Pixwedo team developed a special photographic technique based on old fashion photography techniques to bring a glamour and old-age feeling into the wedding picture. It works great inside of Palmer House hotel Chicago. One of our most favorite wedding locations if you looking for outdoor ceremony or reception. 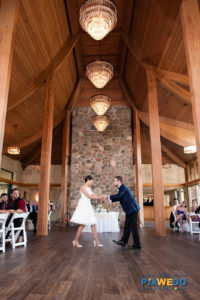 If you are in Chicago, Geneva National Resort definitely works as a destination wedding for you and your guests. Beautiful views and spacious renovated ballrooms will create unforgettable memories from your Day. If you prefer to have a reception outside there is an option for that. Your guests will have a choice to stay or drive back if they need to be back for any reason and that creates additional flexibility for your guests. It is always easy going and relaxed wedding experience for Bride and Groom, if all your Wedding Day activities such a getting ready, pictures, "walking about" video session, Ceremony and reception are around the same ground. And Geneva National Resort has it all. There are only few local hotels and banquet halls around North shore suburbs who can combine classic service with contemporary look. One of those is Hyatt Regency Deerfield. Weddings, Bar and Bat Mitzvah, corporate event all fit this place. Recently renovated, fresh and stylish space with friendly personal will help you to plan any event. If you looking for the place for your event around Glenview, Northbrook, Deerfield, Highland park and near suburbs this hotel is perfect spot with less than 15 min travel time. Located near expressway and about 20 min from airport this place is perfect for those who will travel to your event by air. Your out of town guests will enjoy the luxury of Hyatt. There is a short video below showing all new Hyatt Regency Deerfield. Hyatt-Deerfield-17 from PixWeDo on Vimeo. The Mid-America club is one of the unique wedding ceremony and reception places. Probably the only one with panoramic view of Chicago shore line and Millennium park. It is located at 200 East Randolph Drive 80th Floor right above Millennium park. Club has relatively large ballroom and other halls. It will be enough to hold a wedding party of up to 500 people. Great place with large panoramic windows all around the building will bring a beautiful view. This view will start to change when sky will get darker. On saturdays you can even see fireworks over the Lake Michigan. From wedding photography point of view this place is perfect in terms of saving time for family and bridal party pictures and video. Most recognizable Chicago locations minutes away and Millennium park is just across the street. There is a beautiful courtyard in the front of the building to photograph your immediate family members who cannot walk far. Sample picture at the Mid-America club building courtyard is on the right to illustrate our words. 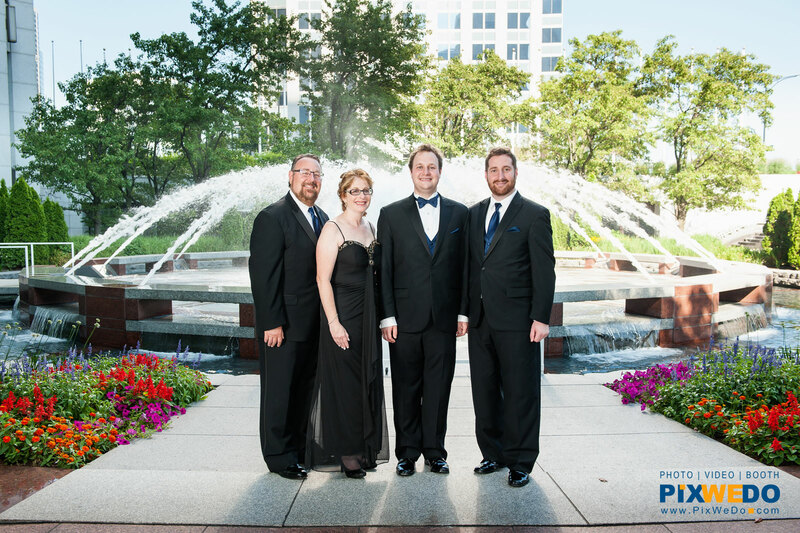 Personal of Mid America Club is a team of friendly professionals who will help you with planning and will explain options for parking and directions. All your vendors must present Certificate of liability insurance and everyone who will part in the building have to be registered in advance. If you have out of town guests there are few hotels on the block within minutes of walk. We truly believe this location is one you should see if you are planning wedding in downtown of Chicago. Museum Of Contemporary Art in Chicago is one of the most popular wedding locations. Its location so convenient for wedding couples and guests. Most recognizable landmarks of famous magnificent mile just blocks away. Your wedding photographer and videographer will have a chance to capture your Day with most popular and iconic backgrounds of the city. Museum of Contemporary Art of Chicago ( MCA) has all you need for your wedding if you will decide not to walk or ride the limo to most popular wedding photography locations. There is a beautiful courtyard for wedding ceremony or outside cocktail. Gorgeous indoor lobby for reception. Art galleries will be open for your guests during reception. All this will make your wedding stay apart and render great memories for you and your guests. Parking garage is another convenient detail about Chicago Museum of Contemporary Art as a most popular wedding location around Chicago and suburbs. Looking for private event for up to 125 guests in Rustic style? The Grove in Glenview will be a perfect match. It is located in a grow and has ability for indoor and outdoor events. Outside Ceremony or cocktail party, indoor hall with beautiful interiors have a real historic atmosphere. This place can bring uniqueness to any wedding. Personal is friendly and experienced. Great outdoor site for the wedding photography and videography at The Grove. They also provide rooms for getting ready part of the day. Nice mansion near north and northwest suburbs in Chicago with real feeling of destination wedding. 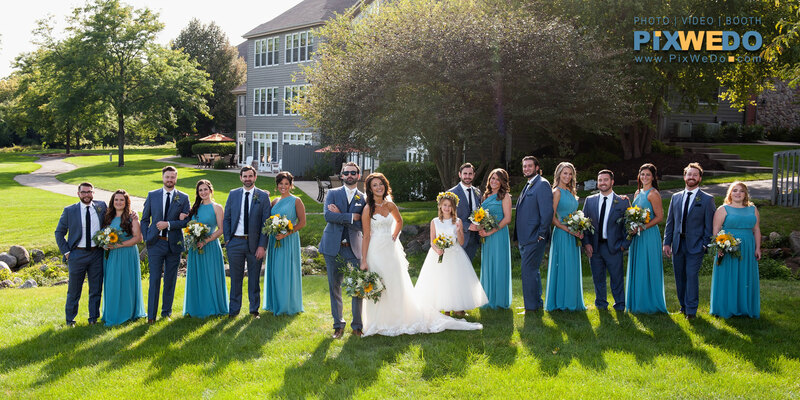 Oak Brook Swim and Tennis Club is a beautiful place for the wedding ceremony and reception.The Clubhouse is perfect place to setup a wedding reception if you want it indoor with large windows and great views. Outside lawn with beautiful pound is a perfect place for ceremony or cocktail. Perfect place for perfect wedding.